The Department of Multicultural Programs and Services is honoring the memory of the Rev. 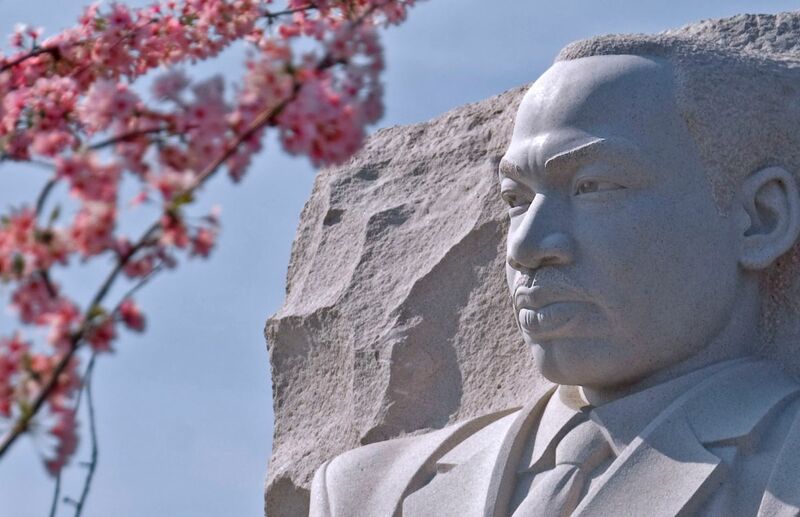 Dr. Martin Luther King Jr. with a month-long celebration inspired by King’s lifelong dedication to equality, social justice and peace. One of the highlights will be the annual MLK Commemorative Breakfast, which will take place at 8 a.m. on Friday, Jan. 18 in the Graham Center Ballrooms. The breakfast keynote speaker will be Donovan Livingston, an award-winning educator, spoken word poet, and public speaker. In 2016, Livingston’s Harvard Graduate School of Education convocation address “Lift Off” went viral, reaching more than 13 million views. Since then, Livingston has been featured on CNN, NPR, BBC, Good Morning America, and in news outlets across Europe, Australia, India and South Africa. His convocation address was published as a book by Spiegel & Grau in 2017. A believer in the enormous opportunities that education provides, Livingston aims to inspire students, educators and communities with his conviction that every child has the right to “lift off” and achieve their dreams. Drawing on personal experiences as well as scholarship, Livingston examines the legacy of social inequalities in America’s school system and encourages educational reform as a means to greater change. MLK Day of Service: On Saturday, Jan. 19, at 8 a.m., more than 300 students will participate in the day of service at locations throughout South Florida. At FIU’s Biscayne Bay Campus, 3000 Northeast 151st Street, North Miami, students will assist with bay restoration, planting mangroves and helping endangered species. Students will also visit Pridelines: Miami’s LGBT Community Center, 6360 NE 4th Court, Miami, and the Enchanted Forrest Elaine Gordon Park, 1725 NE 135th Street, North Miami, where they will give the youth lounge a refreshed look and assist cleaning the park, respectively. Additionally, students will contribute to beautification projects at two schools: Miami Edison Senior High School, 6161 NW 5th Court, Miami, and Jesse J. McCrary Jr. Elementary School, 514 NW 77th Street, Miami. To participate, register here. MLK Parade: On Monday, Jan. 21, at 8 a.m., FIU President Mark B. Rosenberg, joined by students, faculty, and staff will participate in Liberty City’s annual parade along Northwest 54th Street. Robert M. Coatie MLK Youth Forum & Peace Walk: On Wednesday, Jan. 23, at 10 a.m. at FIU’s Biscayne Bay Campus, Yvette Holmes, a published author, top business professional, accomplished teacher and mentor, will speak to more than 300 high school students before the annual peace walk. MLK Evening with the Student Access & Success Graduate Fellows: The annual reception will be held on Friday, Feb. 1, at 7 p.m. in the Graham Center, room 243. The event celebrates the accomplishments of students in the McKnight Doctoral Fellowship Program, which has helped to develop the talents and expertise of a record number of African American and Hispanic students. For more on FIU’s MLK Commemorative Celebration, click here or contact the Office of Multicultural Programs and Services in the Division of Academic and Student Affairs at 305-348-2436.